Bathtub Re-glazing – Bathtubs tend to get worn and lose their glossy finish, but changing them out can be pretty pricey depending on the type. Did you know that you can get them re-finished or re-glazed? Yup! 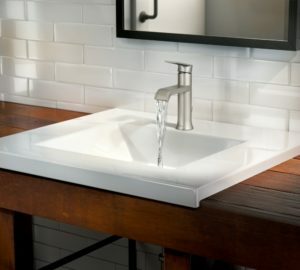 Faucets and Fixtures – There are thousands of different brands, finishes, and styles of faucets. Looking to switch from your traditional look to a more contemporary style? It’s easy to do by simply swapping out your faucets and fixtures! Matching Accessories – You can match the light fixtures with the mirrors, and the mirrors with the towel bars, and the towel bars with the light switches! Try coordinating them your bathroom faucets. Maybe choose one accessory to be the main focus, like your mirror! Paint – This is always the “go-to” simple way to update any room! Typically the bathroom has the least amount of wall space for painting so, it may not take long at all. Try doing a yellow to bring more brightness and light into the room, since there tends to not be windows in bathrooms.6. Frame your Mirror – Try framing your mirror with some painted wood trim! It’s an easy way to make the mirror your bathroom’s focal point. 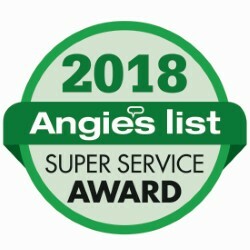 Super Service Award Nine Years in A Row! Join our mailing list to receive the latest news and tips from us! Hey Tampa! What’s in your Water?